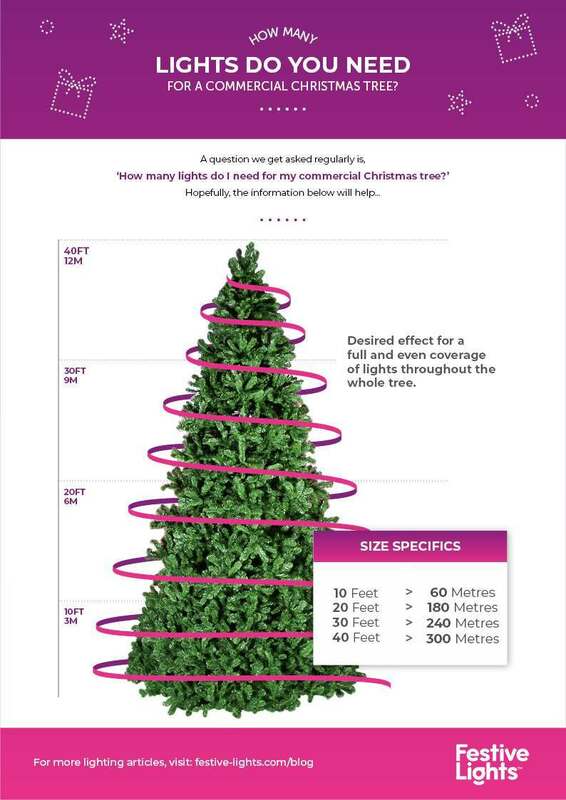 It can be a daunting task to dress a large, commercial Christmas tree. 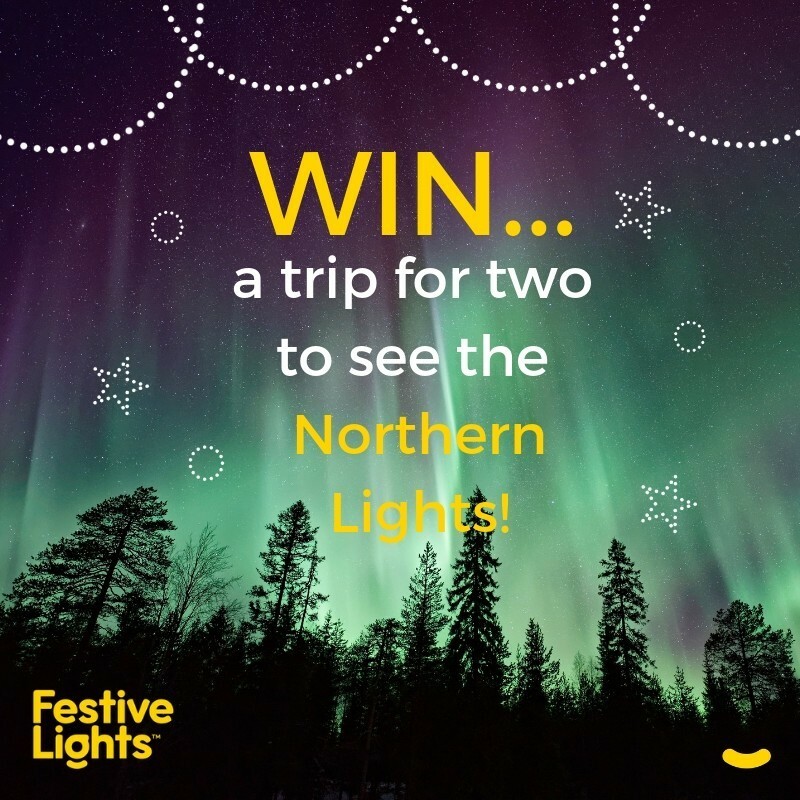 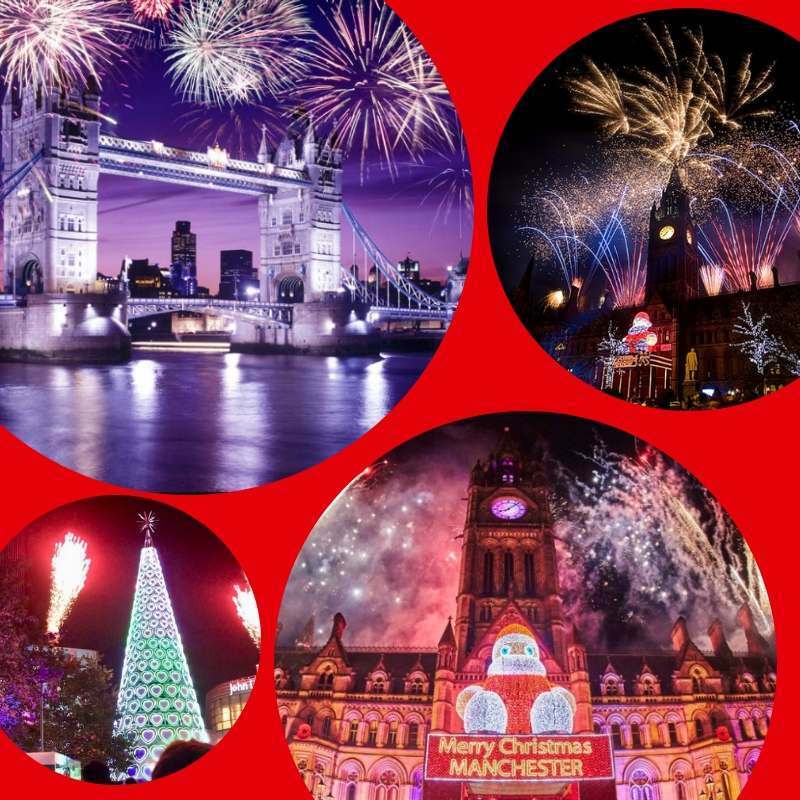 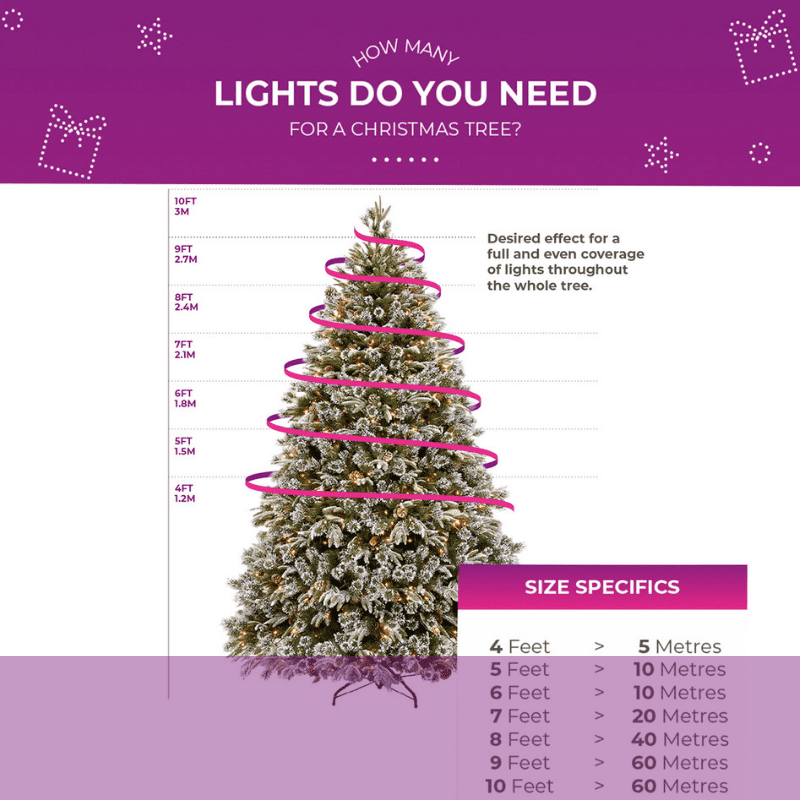 Thankfully we’ve created this guide to give an indication of how many lights you might require on your 10ft, 20ft, 30ft or even 40ft Christmas tree. 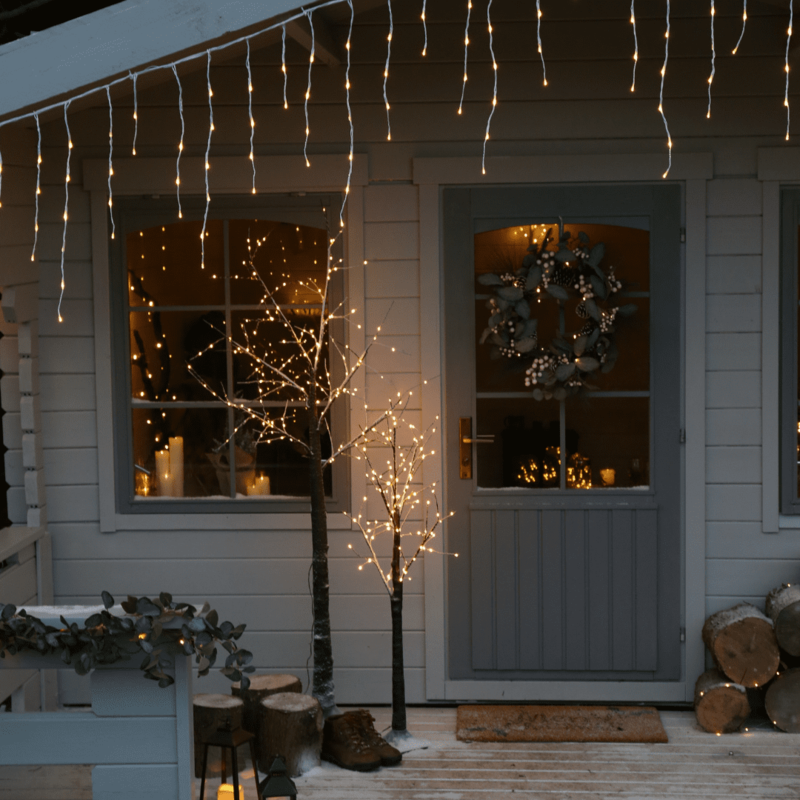 If you instead want to know how many lights you need on a smaller, domestic tree, please visit our domestic tree lights guide.